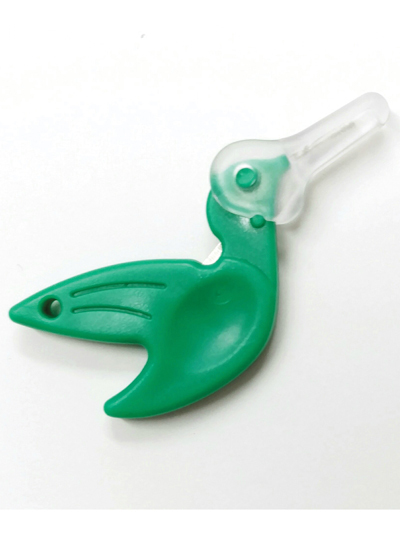 This adorable hummingbird's beak moves upward or downward to expose or protect wire for easy storage! Suitable for most hand needles except beading needles. 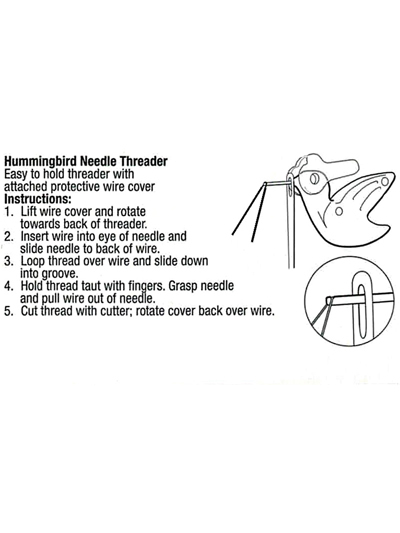 I bought two of these hummingbird needle threaders. One was for myself and the other for my daughter. She hasn't tried hers, yet, but I have used, and love, mine. It took some practice, to get the thread to stay on the wire for threading, but I finally got the hang of it. I discovered if I put a dab of lotion, or something to moisten my fingers a little, before trying to use it, I can hold the thread on the wire a lot better. It's not too great for the thicker thread but does wonderful on the cotton and thinner threads. I'm happy I bought it. It's cute and all, but I am not coordinated enough evidently to keep the thread on it and pull it through. I think for me, I am going back to the old, cheap, standby. I really like this little threader. 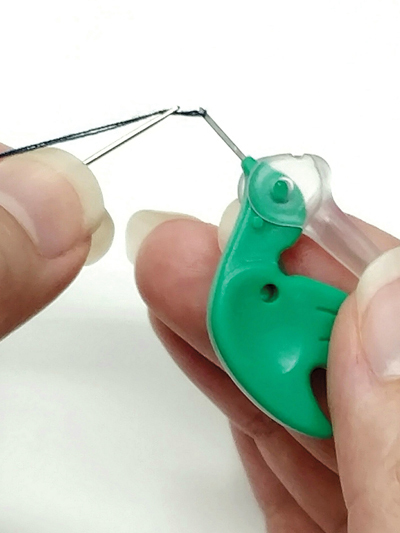 It is cute and unusual looking which is something I'm always looking for in sewing and needlework tools. More than that though, it works! It's sturdy and has held up well under use. Thinking of ordering another as a gift for my sister. This is a winner in my book.